On Monday evening magazine Esquire held it’s yearly Best Dressed award show. This year it was a little different. They nominated the best dressed men out of twenty years of Esquire. Jules Deelder went home with the title Best Dressed Man out of twenty years of Esquire and we took home one of the goodiebags. 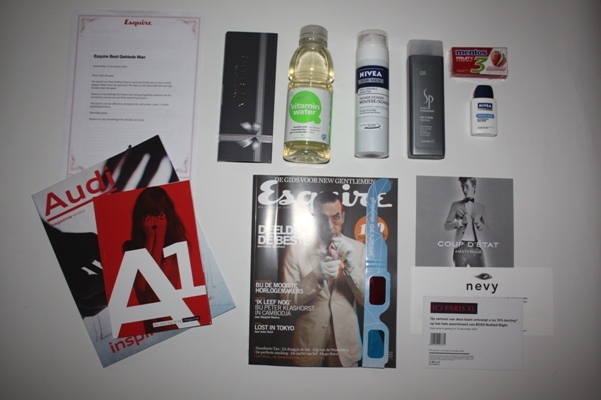 It was not as fabulous as the goodiebag we got last year at Esquire’s, but we liked it anyway.